16 November 2018 (Toronto, ON) - Today, to mark the forthcoming reissues of Paul McCartney’s 11th and 12th classic works from his revered catalogue, “Dear Friend”, the John Lennon-inspired closing track to Paul McCartney And Wings’ debut album Wild Life, has been made available to hear as two special instant grats. The first a remastered version, and the second a beautifully intimate unreleased home recording. The re-releases come fully remastered and expanded across multi-format installments of his GRAMMY-winning Archive Collection, to be released December 7, 2018 via MPL/Capitol/Ume/Universal Music Canada, the country’s leading music company. First up is the four-disc (3CD, 1DVD) limited deluxe edition of Wild Life, the debut album from Wings, originally released December 1971. Written by Paul and Linda McCartney (with the exception of a cover of Mickey & Sylvia's ‘Love Is Strange’), Wild Life is beloved by fans for its raw and direct vibe--having been recorded in just over a week with the majority of tracks laid down in a single take. Wild Life’s limited deluxe edition treatment features the full album remastered at Abbey Road plus 25 bonus audio tracks including rough mixes of the album, original single edits, B-sides, home recordings and other previously unreleased material across three CDs. The set’s DVD features rare footage of acoustic home videos, rehearsals and more. 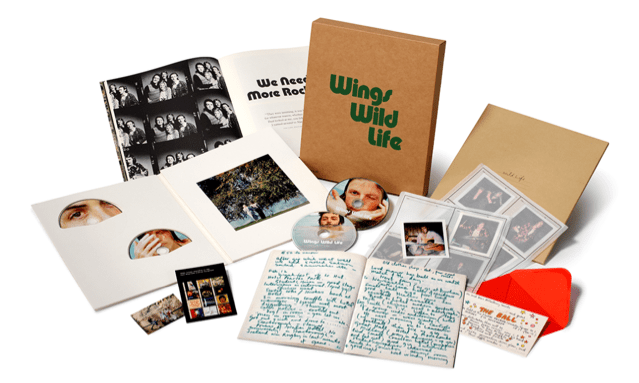 The Wild Life deluxe package includes a 128- page book written by David Fricke telling the story behind the album – including track-by-track information and new interviews with Paul and key album personnel, a 48-page scrapbook of tour diaries, lyrics and set lists, unpublished Polaroids, lyrics, notes and memorabilia from the MPL archives. Wild Life’s download redemption card will provide access to all audio in HD 24/96kHz unlimited high-resolution versions. Next up is a six-disc (3CD, 2DVD + 1Blu-ray) numbered limited deluxe edition of the second Wings album and first credited to Paul McCartney and Wings, Red Rose Speedway. Released in April 1973 and featuring the #1 single ‘My Love,’ Red Rose Speedway was the first Wings album to hit #1 on the U.S. chart. The Red Rose Speedway limited deluxe edition features three discs of audio including the original album remastered at Abbey Road, no less than 35 bonus audio tracks, including a reconstruction of the originally conceived double album version of Red Rose Speedway, singles, B-sides, alternate mixes and previously unreleased tracks. The 2DVD + Blu-ray portions of the deluxe are packed with rare and previously unseen footage, including the James Paul McCartney TV Special, interviews and music videos, as well as the never before seen film The Bruce McMouse Show—fully restored and remixed in stereo and 5.1 surround sound. 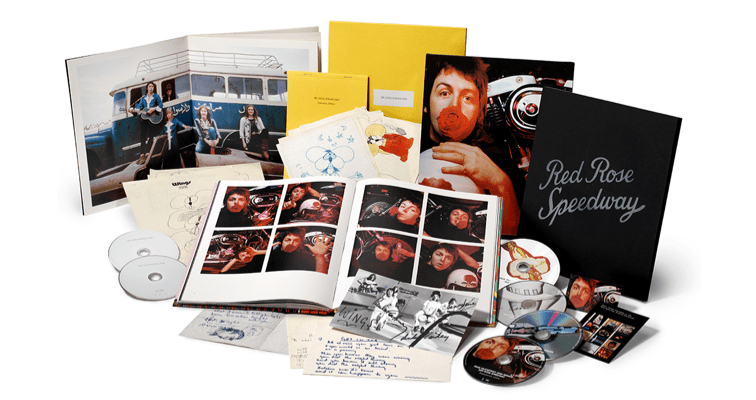 The package includes a folio containing 14 replica hand drawn original character sketches by Paul and facsimile dialogue sheets for the film, a 128-page book containing many previously unpublished images by Linda McCartney, expanded album and single artwork from the archives and story behind the album — including new interviews with Paul McCartney, and key album personnel — and track-by-track information, written by Amanda Petrusich, five replica handwritten lyric sheets and photo print, a 64-page ‘Wings In Morocco’ photo book, all housed in a numbered outer slipcase. The Red Rose Speedway download redemption card will provide access to all audio in HD 24/96kHz unlimited high-resolution versions. Finally, the 11-disc Paul McCartney and Wings 1971–73 numbered limited edition super deluxe compilation features not only the entire contents of the Wild Life four-disc numbered limited deluxe edition and of the Red Rose Speedway 6-disc numbered limited deluxe edition—but also the exclusive live album, Wings Over Europe. 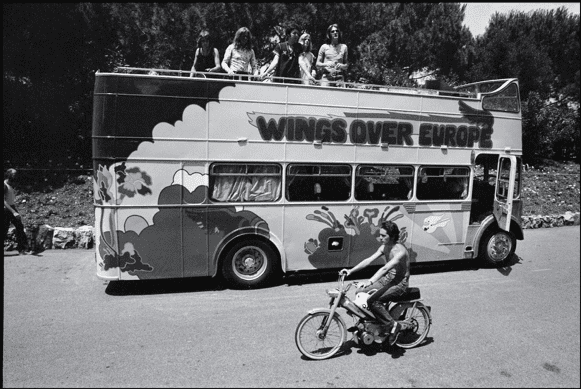 This exclusive collection features 20 previously unreleased, newly mixed live tracks recorded over the course of 5 shows, an introduction featuring Paul recounting memories of the 1972 tour, a 96-page photo book including previously unreleased images by Linda McCartney and Captain Snap, a replica of the 1972 Wings Over Europe tour program, and access to downloadable 24/96kHz unlimited high-resolution audio versions. 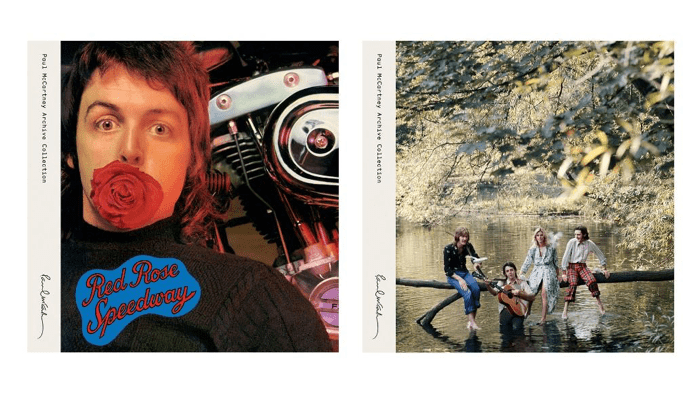 Every release in the ongoing Paul McCartney Archive Collection is supervised by Paul himself, who oversees all aspects of each and every title from remastering to the curation of lost tracks, outtakes, artwork, photographs and video from his personal vaults, and much more. The result is one of the most ambitious and personal undertakings of its kind, one that encompasses more than 40 years of cherished, classic material from the most successful songwriter and recording artist in music history. Click here for the Deluxe Edition track listings and additional details.